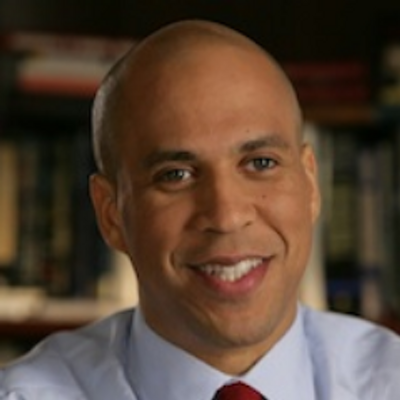 United States Senators Cory Booker (D-New Jersey), Rand Paul (R-Kentucky), and Kirsten Gillibrand (D-New York) introduced a bipartisan bill this morning to end the war on medical marijuana. The Compassionate Access, Research Expansion, and Respect States (CARERS) Act would downgrade pot from first to second on the federal government’s official list of dangerous drugs, ease cannabis industry banking woes, and reform the government's biased pot research mission. Doctors working for the Department of Veterans Affairs could recommend it for certain conditions. "Today we join together to say enough is enough," said Booker. "These laws must change. ... High-trained officials in our country … are unable to prescribe and recommend drugs that will alleviate the pain and suffering of their patients." "Research has been prevented by [current federal law]," said Paul. Gillibrand spoke about a young girl named Morgan Hintz of North Salem, New York with Dravet's Syndrome. Medical marijuana has been shown to control intractable seizures. "[The Hintz's] feel the real pain for the current federal laws as it relates to medicine that their doctors have prescribed. They are simply asking Congress to do its job to take care of America's kids. "Cannabis can treat variety of illness from multiple sclerosis to cancer to epilepsy to seizures," Gillibrand said. "This is clearly a case of ideology getting in the way of scientific progress," Gillibrand added. Congress declared a surprise ceasefire on medical marijuana in December — blocking the use of Department of Justice funds to interfere with state-legal medical pot activity. This new bill would cement that ceasefire. "The CARERS Act is groundbreaking for its unprecedented introduction by Senators Paul, Booker, and Gillibrand, for the scope of protection it would offer to qualified patients, and for significantly increased research opportunities," stated ASA Government Affairs Director Mike Liszewski. Twenty-three states and the District of Columbia have legalized cannabis for medicinal purposes. Four states and the District of Columbia have legalized marijuana for recreational use. Twelve conservative states allow some form of cannabis extract that does not cause euphoria. About 78 percent of Americans support access to medical marijuana, which was prohibited in the 1930s over the objections of the American Medical Association. The Nixon Administration declared all-out war on dope in the 1970s, overruling the recommendations of its own Schafer Commission. About 700,000 Americans will be arrested this year for pot. Meanwhile in the House of Representatives, Congressmembers Earl Blumenauer and Jared Polis introduced two bills that would work together to legalize and tax recreational marijuana at the federal level.